Retro Synth is a study in simplicity. But don’t be fooled. 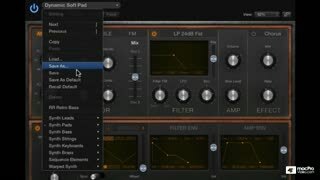 Behind the virtual faceplate of this new Logic Pro X instrument, there is a powerhouse of synthesis at your fingertips. In this course, our top trainer, Rishabh Rajan, teaches you all about Retro Synth while at the same time, helping you fine-tune your synthesis and sound design skills! 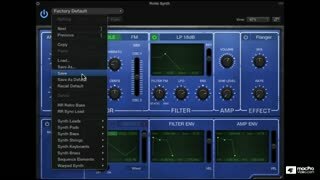 The basic architecture of this new Logic Pro X instrument is built around a classic sounding, analog synthesis engine. 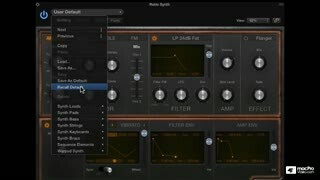 But you're also just a click away from turning on the Wavetable, Osc Sync and FM synth engines too! 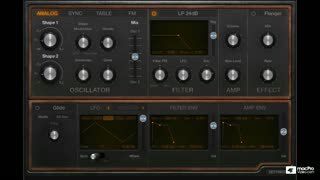 As this course evolves, you learn how to unleash these synthesis techniques to create your own unique, powerful patch library. 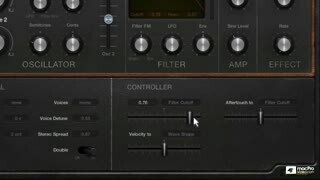 So, master Retro Synth’s sound controls, explore its 4 different kinds of synthesis and get deep sound design tips all at the same time right here, right now! But don’t stop there! 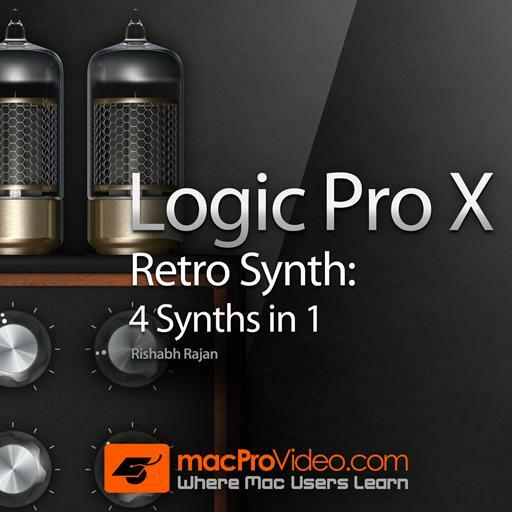 Check out all of our Logic Pro X courses and learn every aspect of this powerhouse DAW as you explore the world's largest library of professionally-led Logic Pro X courseware in the Apple universe! 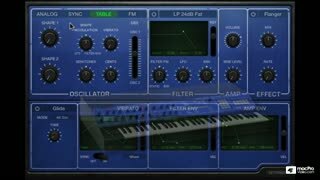 Rishabh Rajan provides a detailed demonstration of Logic Pro X's Retro synthesiser in this comprehensive course. He not only covers functionality but also a high level overview of the 4 synthesis methods featured in Retro. This course is fantastic! 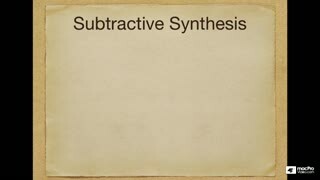 I think it is a perfect example of how a course about a virtual instrument should be.. Thanks Rishabh Rajan and macProVideo team for making it! Greetings from Brazil. Absolutely amazing course, I've enjoyed every single video of it. 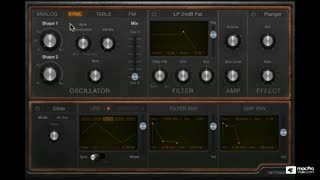 That will help you to bring the sound of your head into the synth. 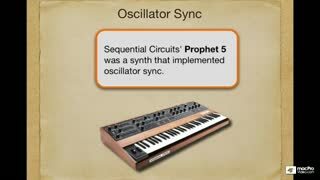 I think it's a brilliant course not only for Logic, but to understand how synths work. This is excellent. Clearly explained! I'd like to know what is the oscilloscope is, that is being used for the demonstrations. 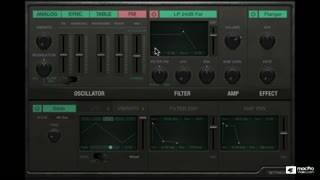 This tutorial was the best time I've spent of my day today. Not only you will learn about this powerful tool from logic, but also about subtractive synthesis, sync oscillators, fm and more. Great tutorial. This retro synth is like a mind trip back to my childhood, the old Atari memories kept crossing my mind throughout the course. I love it. This is a very easy-to-follow explanation of the four synths in retro synth. 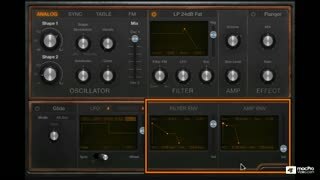 It does get more complicated in the FM synth explanation, but the narrator's graphic selections are always very clear and the verbal explanations are thorough so your ease of getting through it may depend on whether you are familiar with basic synth concepts. As a guitarist primarily I know I will probably be reviewing this video again. 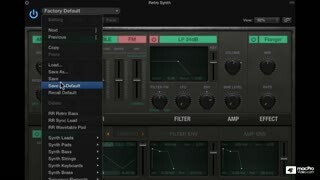 Excellent course covering the new retro synth instrument plug-ins that Logic Pro X has to offer! Great overview of the tips and tools that can be utilized in these versatile retro synthesizers.